An online real world data business intelligence solution? 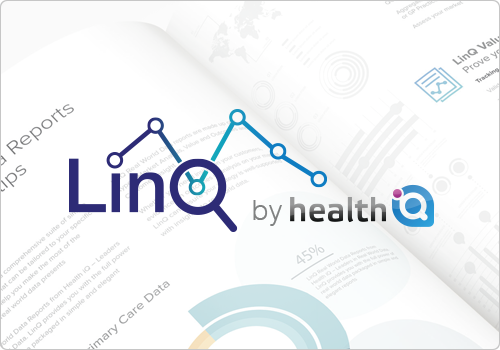 A powerful, flexible suite with robust, credible data that you and your team can interrogate, spot trends and also use to engage externally with healthcare professionals? 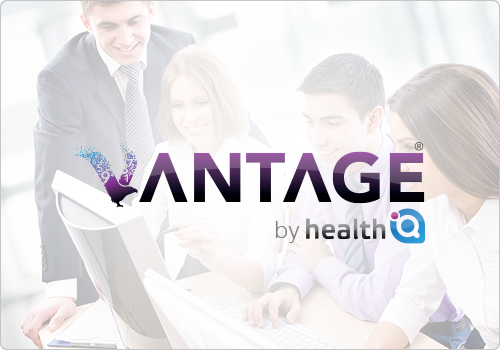 Vantage is a cutting-edge health intelligence platform designed entirely around the needs of the pharmaceutical industry. 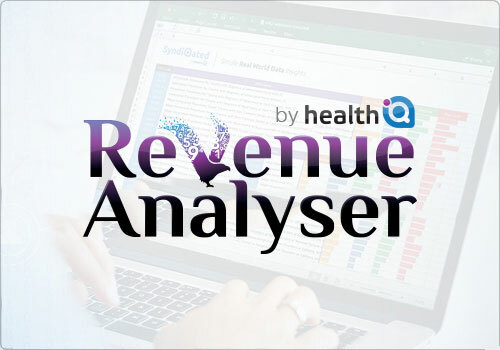 It combines a range of datasets into a single ‘Big Data’ system allowing you to view dashboards, create custom queries or produce reports at the click of a button. 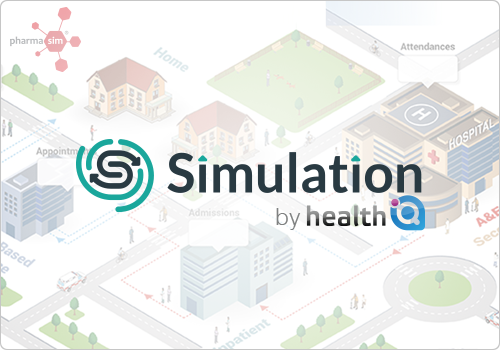 Vantage is designed to be a customer facing tool, to empower your market access teams with easy to understand real world evidence when engaging healthcare professionals. 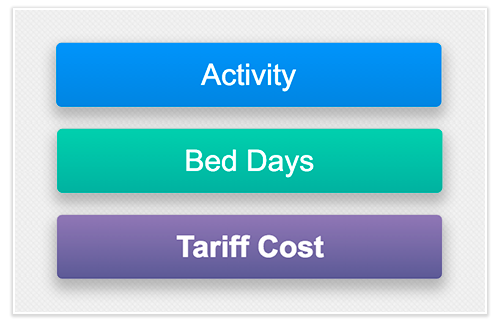 You can view results of the selected disease area as Activity, Bed-Days or Tariff Cost. 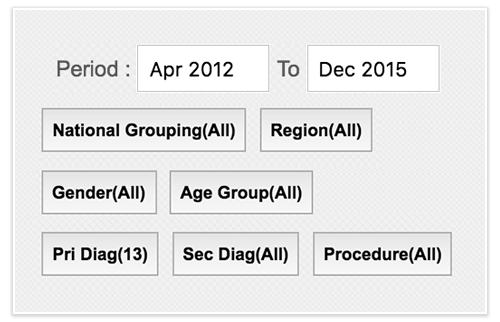 We have built comprehensive filtering options, making it easy to populate the results you want. Hover on any point to view a specific result and click to see more in detail. 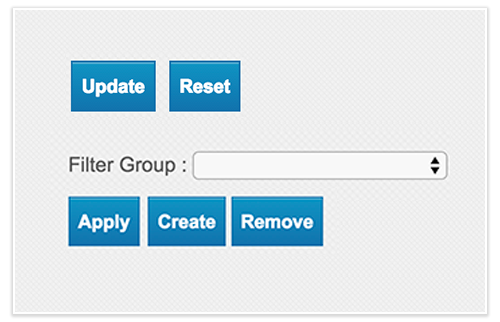 Create filter groups and make them private or open for all users in your team for collaboration. 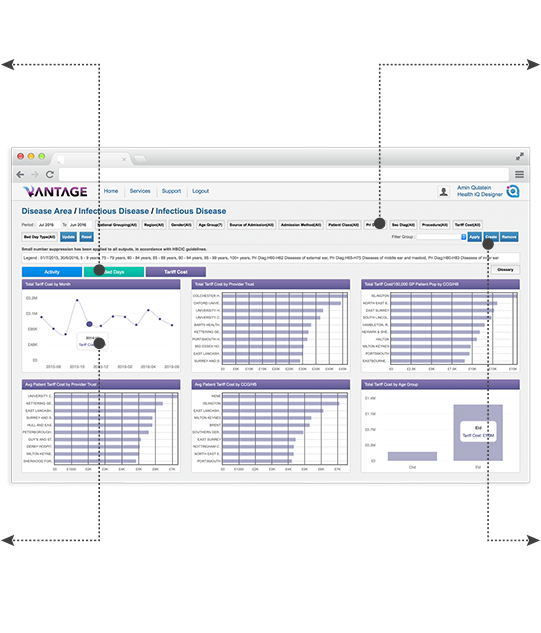 Vantage for Decision Support Vantage incorporates a powerful ‘Query Builder’ module, which allow users to build even the most complex of queries through a simple drag-and-drop system. 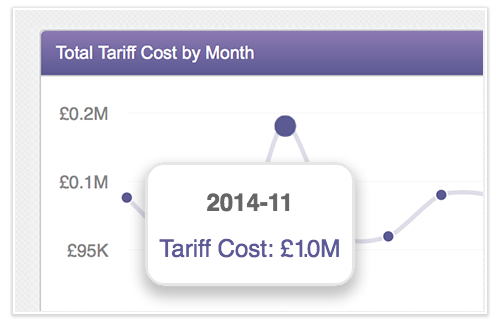 The ability to link the datasets together makes this the ideal tool to support strategic decision making. Your customer service has been exemplary, including helpline availability, swift acknowledgement and response, with clear guidance, to our queries. There is no doubt that Vantage has helped in my accounts. It has given credibility and has created further opportunities for the sales representatives to build relationships and progress contact with their customers. The tool is very quick and intuitive to use. 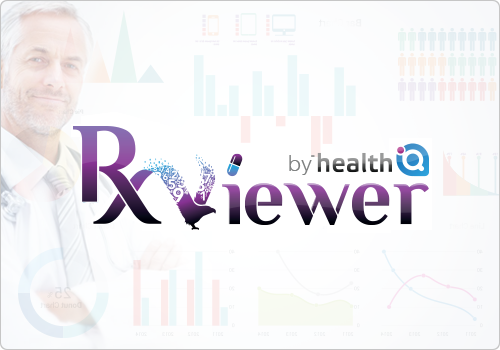 It also has visually attractive, clear and accurate reports. The breadth of reports we are able to run is impressive and reflects what our customers are asking for (e.g. The per 100K GP population reports). Vantage is now integral to our business planning.